What do you think of first when 80’s indie rock from Britain first comes to mind? Maybe The Smiths, The Stone Roses, The Sisters Of Mercy or even The Charlatans? Well, what if there was a band that started during that period but just released an album? That’s what’s happening with The Train Set and their album Never California, which be officially released off of Firestation Records on September 7. Any Britpop fanatic (I know there are a few of you) and anyone who worships the mantle of Ian Curtis, Steven Patrick Morrissey, Johnny Marr, Ian Brown and John Squire should love The Train Set’s latest release. If not, then please throw your music snob card out the window, and go hide in whatever miserable cave you came from. 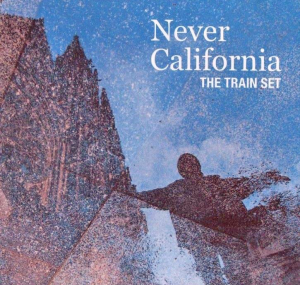 Never California is a series of singles the act put out during the Second Summer Of Love heyday of the late ’80s, and it makes me wonder why they didn’t achieve the success of their contemporaries. It could have been that they went away way too soon after their formation, which is an absolute shame. A first listen will show their incredible talent, and you’ll know why Noel Gallagher, formerly from Oasis, holds them in such high regard. Why did The Train Set disappear? Will they get back together? Well, they got a Facebook page up. Is it a fan page? Why haven’t you looked them up already? Maybe my top tracks off of the Album Of The Week will do the trick. Definitely influenced by the Madchester scene, “She’s Gone” has a little bit of jangle, a hint of synth and a bit of a blues aesthetic. The lead guitar really gives it an edge with riffs showing up through the track. With surfy tone, “Stop Stalling (Sob Stories)” has impeccable rhythm and a hell of a beat in the chorus. The riffs in “Gets Me Down” reminds me of the ’90s alt-rock band Cracker; it’s also catchy and groovy, and you’ll definitely love it. Will The Train Set do a reunion show? Are the members still alive? I have no idea, but I’d love to see them play in the States. So you know what the hell I’m talking about, get a copy of The Train Set’s Never California when it comes out on Labor Day. What a better way to spend a day off than listen to a killer album?